It is quite fascinating, how many scholars that indulge in the activity of book reading, reap so many of its health benefits. 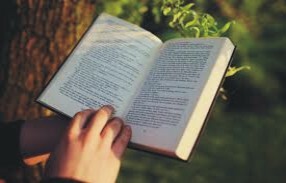 Apart from increasing your knowledge, improving your personality and know how, keeping you up to date with latest information etc, there is one amazing benefit attached to the reading of books, and that is increasing your life span or making you to live longer. Yes, one of the latest health tips 2016 involves the benefit of reading books. Researchers from Yale University found an association between reading books and longevity. More than just cognitive health, reading books can also contribute to the physical well-being of a person. The findings? Over a 12-year period, book readers showed 20 percent lower risk of mortality compared to non-book readers. The study observed data from more than 3,000 subjects aged 50 and up. The group was divided into three: those who did not read books, those who read up to 3.5 hours a week, and those who read for 3.5 hours and more per week. Did you know that those who read lived two years longer than those who never opened a book? Two years is a significant length of time. Makes you think about your reading habits now, right? The researchers quickly noted that there is no direct link between healthy diet and reading. But the association between reading and logevity is an important factor to consider when planning for health and lifestyle programs for the elderly. In another report, it was observed how reading affects our feelings and mood. Depending on the kinds of reading material, good reading habits can help one improve personality, develop a kinder and gentler mood.